Today we welcome the addition of a new advertiser to The Small Trailer Enthusiast, Car-Go Trailers from Terrebonne, just outside of Montreal in Quebec. Car-Go Trailers offers a nice, basic teardrop trailer with just enough features to give you a comfortable camping experience. Steel wheels with baby moon rims. Tire size : P175/70 R14. For Sale: 2017 Riverside Retro, Jr. 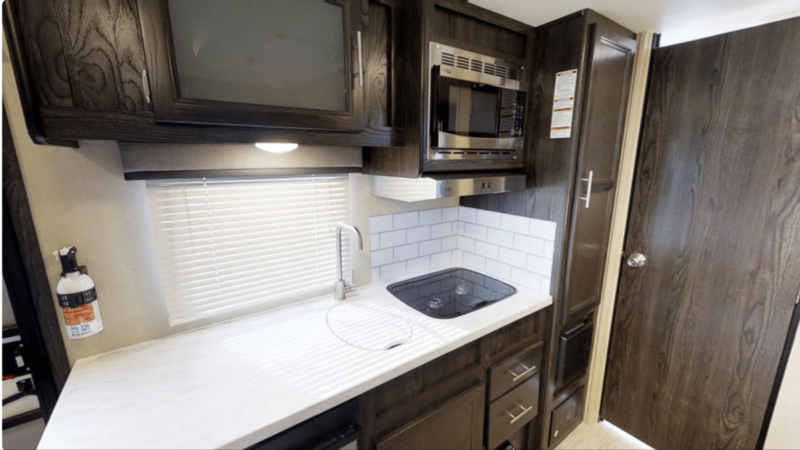 Introduced to the public in last 2017, Nappanee, Indiana based inTech RV opened eyes in the teardrop and small trailer community with the Luna. The Luna was received with much fanfare. It was one of the finalists in RV Business’ 2018 RV of the Year. 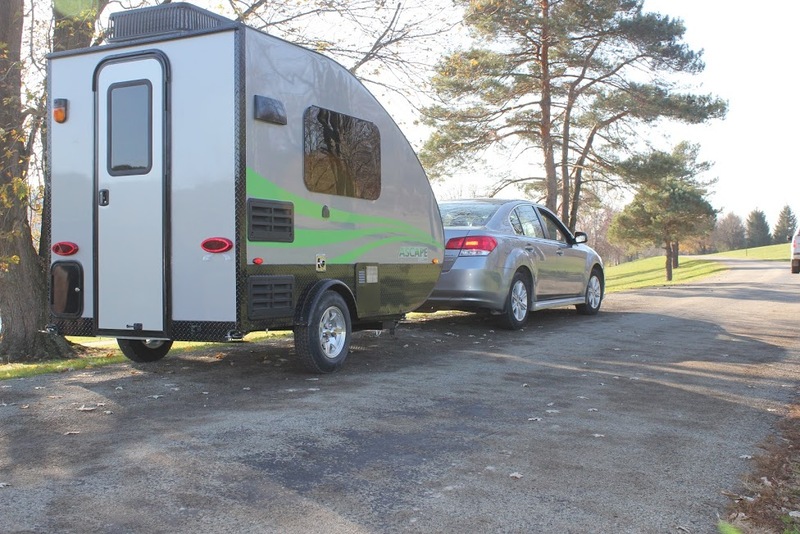 With it distinctive Euro design, the Luna quickly set itself apart from the rest of the teardrop trailer community. In a press release earlier in June, inTech announced a more scaled down Luna called the Luna Lite. “We introduced Luna Lite as a lighter-weight, less expensive option that would help our dealers compete against other teardrop trailers in the marketplace,” stated Rich Schnippel, Director of RV Operations. 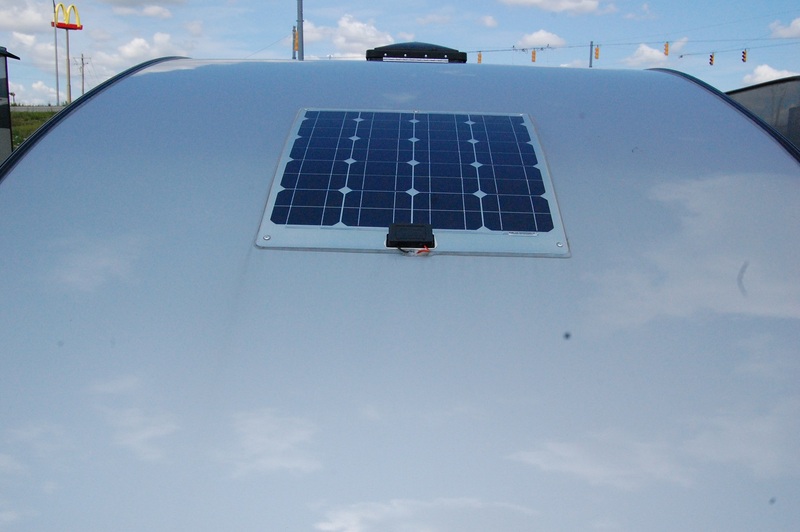 Luna Lite has the same distinctive front fiberglass cap and full tempered glass windshield found on the standard Luna camper. “Our efforts were focused on maintaining an extremely high quality product, the cost and weight savings were afforded by deleting or down-grading some of the luxury items. The 40” TV was replaced with a 32” TV, the plastic formed fenders were replaced with aluminum powdercoated fenders and the Dometic Cool Cat A/C was replaced with an 8000 BTU Pummel Drive A/C’” stated Schnippel. The key part I took from this is the “less expense option”. 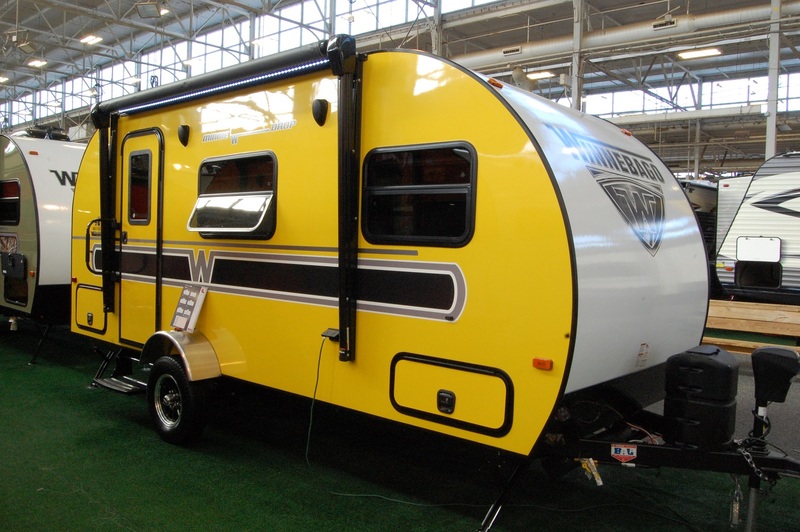 Priced at nearly $20,000, I got a lot of comments on The Small Trailer Enthusiast from people scratching their heads about a teardrop with that price point. So the Luna Lite should ease some of those concerns. The MSRP should be around $16,000, so I would suspect these would be more competitive with a nuCamp T@G in price. 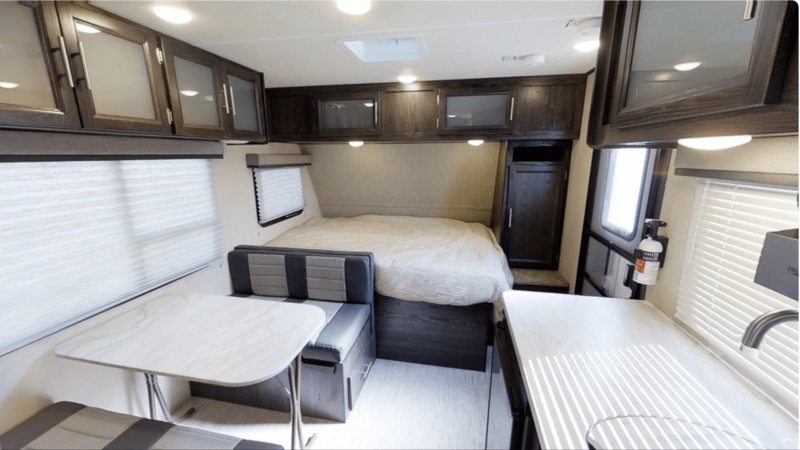 Despite the reduction of some of the amenities between the Luna and Luna Lite, the Lite will still have the same dimensions of 15’6″ long from hitch to tail, 4’6″ interior height, 5’9″ interior width, and 6’10” interior length. The weight will be reduced from 200-250 lbs, down to between 1450-1630 lbs, depending on options. Overall, I think this is a really good move by inTech. They build a really solid trailer with the Luna as well as their Flyer lines, but with price points out of line with demand, a lot of folks aren’t going to know how good that product is. This will open their market to a new set of buyers looking for a quality teardrop at a reasonable price. Just eight months after production began on the Little Guy Max, Uniontown, Ohio based Liberty Outdoors today is introducing the next addition to its ever growing lineup in the Little Guy Mini Max. I first introduced you to the Max last July after visiting their Somerset, Pennsylvania factory, and since then the head count of employees at Somerset has grown to over 60 as the Mini Max starts its production cycle. The Mini Max is a condensed version of the Max. At 17’2”, it checks in some 4 feet shorter and over 1,000 lbs lighter than its big brother Max, weighing in at 1,993 lbs. But just looking over the specs and features, a few things stand out. It has an improved 6′ interior height when compared to others in this class, as well as a microwave oven and a 5 cubic foot refrigerator. Folks, I have a 22′ bunkhouse trailer that’s 5′ longer than the Mini Max and it only has a 3 cubic foot refrigerator! To find a way to get a 5 cubic foot fridge in a trailer of this size gets a tip of the cap from me. And it’s actually larger in size than that of the Max. Another thing I like is the incredible amount of storage. There’s a substantial pantry/wardrobe with adjustable shelves to the left of the entryway that will go over very well. And the last thing that really sticks out for me is the addition of a microwave. Since it’s mounted below the kitchen counter, you don’t lose any counter space. 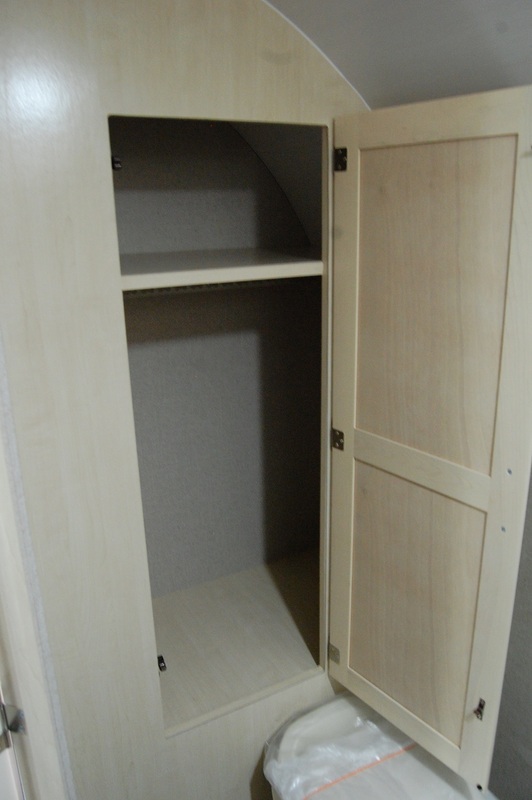 There’s also a fair share of storage nooks throughout for additional storage. 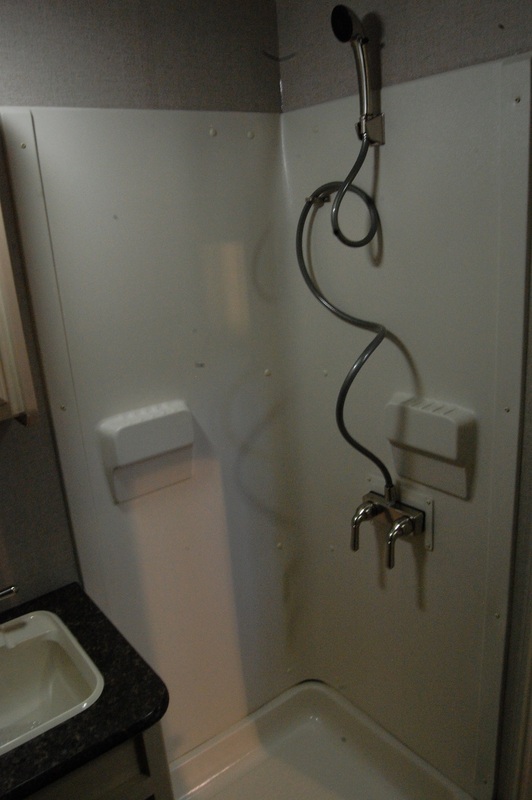 The Mini Max also has a wet bath, which in this class of trailer is a standard these days. And speaking of the wet bath, the tank sizes include a 20 gallon fresh, 14 gallon gray, and 9 gallon black tank. 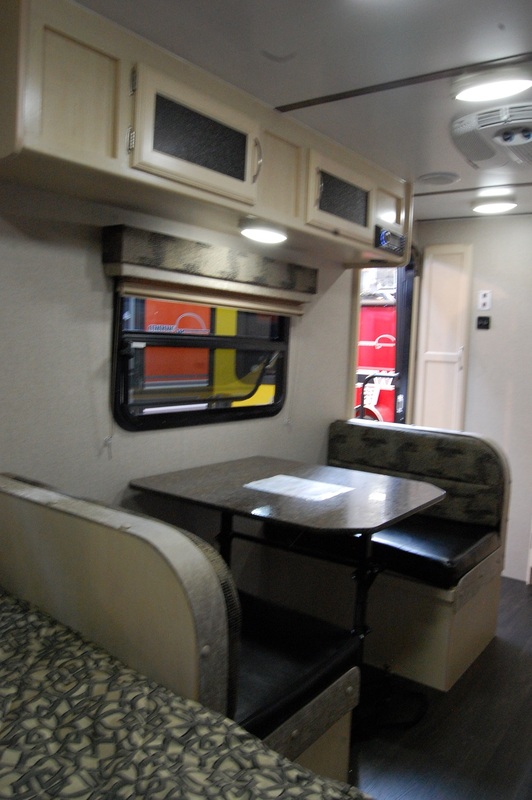 The U-shaped dinette can convert into either twin beds or a 75″x70″ queen bed. Overhead and to the side of the dinette you’ll find a 19″ Jensen 12 volt TV. The dinette also consists of a rotating dinette table top, sitting on a marine style, 3 stage hydraulic action table pedestal. And I wish I could explain it in words, but the hideaway slat system is just cool. Trust me! The Mini Max also boasts 5 opening windows, including the one in the door that the Max has, for extra ventilation, which also includes a sliding screen door. The windows include integrated shades and screens much like the Max. I’ve noticed they’ve gone with a friction hinge door on this model, which I really like even in my own trailer. From a construction aspect, the Mini Max has Liberty Outdoors’ 2 year manufacturers warranty. Sitting on a tubular steel chassis, the Mini Max is framed in aluminum (sidewalls and roof), with Azdel paneling and block foam insulation in the sidewalls and roof. A few other notable standards are a bone chilling 13,500 BTU roof mount Dometic air conditioner, an 8″ deep stainless steel kitchen sink, 16,000 BTU furnace, 2 burner glass top stove with electric ignition, and exterior Furrion speakers with an exterior TV mount. There is also a Keder rail to attach aftermarket visor, awning or tent room. All of those standard features can be had for an MSRP around $23,000, so I would suspect dealer prices to be around $20K. There are a few options you can add on for an upcharge, including the Rough Rider Package, which includes 15″ off-road tires and a 2.5″ axle lift, a 100 watt flexible Zamp solar panel, walnut cabinetry, Jack-It bike carrier, and a Furrion wireless observation system. In a press release today from Liberty Outdoors, “We are super excited to announce the Mini Max. Our community has spoken and we are responding with a smaller Max that is much easier to tow, while not sacrificing the best features or the craftsmanship of the larger model. Our operations team and production crew has outdone themselves with the Mini Max. We can’t wait to bring it to the teardrop market,” said Liberty Outdoors Co-founder and Managing Director of Sales and Marketing, Joe Kicos. “The Mini Max really hits the sweet spot for many more customers,” said Dylan DeHoff, Liberty Outdoors Director of Operations. “The spaciousness, the storage, the huge refrigerator, the electric ignition stove, the bed configuration, the ability to keep the microwave, I could go on. These are things that trailers in this class simply don’t have. I think our community will be thrilled with the Mini Max,” said DeHoff. As for my thoughts, the Mini Max should do very well for a few reasons. First, it offers more standards than others in this class of trailer for the same…if not less expensive…price. 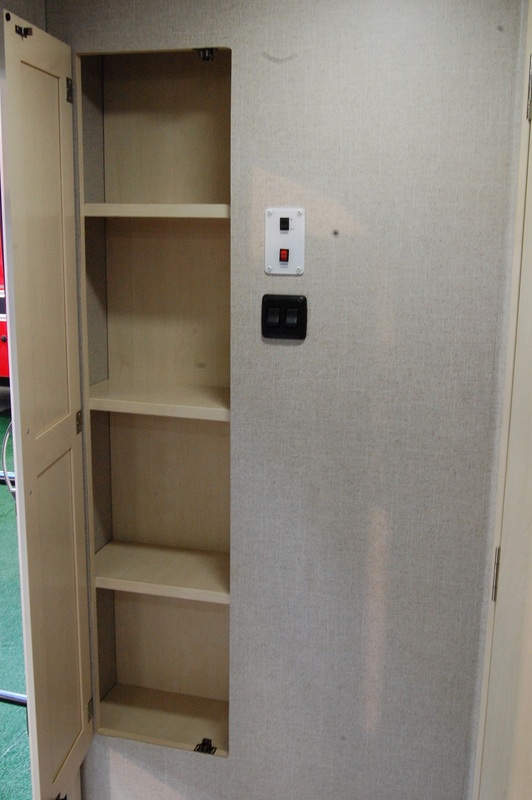 After seeing their factory firsthand and the areas of their trailers you can’t see in the finished product, their stuff is built to last, with exceptional fit & finish. These guys have always known how to market and distribute trailers for years, but now that they’re building them, they’re at that same level as manufacturers. Their interaction with their customers before and after the sale is something you just don’t see much from in the industry, as I’m sure some of you reading this can attest. It’s nothing to see comments on the Little Guy social media pages on a daily basis from either Dylan DeHoff or Chris Baum. It’s that kind of customer service that really builds the foundation for success, and these guys have the Midas touch. 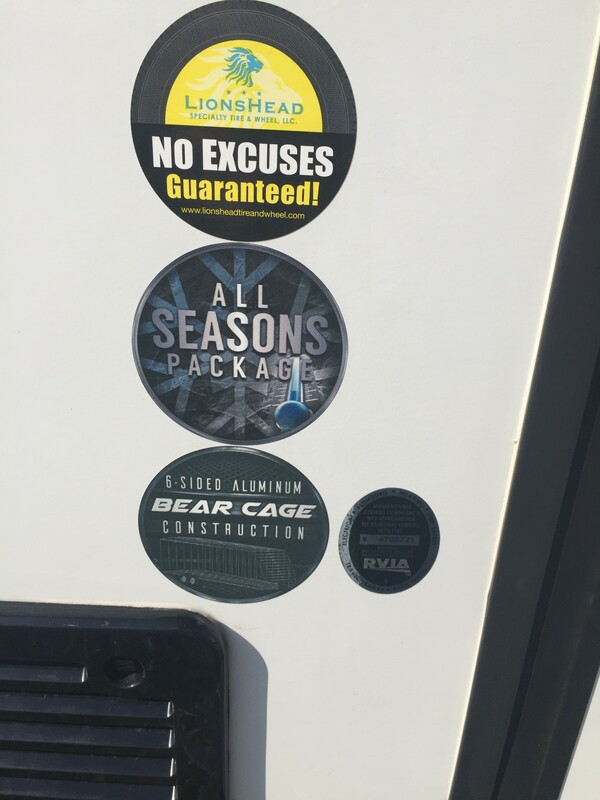 As you can see by the lack of an ad from Little Guy on my website, I say this not as someone paid anything by them, but as someone who appreciates an RV manufacturer who goes that extra mile to make the customer happy in an industry where that is a rarity. This morning I thought I’d post a pic on our Facebook page of a Shamrock trailer, wishing you all a Happy St. Patrick’s Day. That thought soon morphed into writing a post on something I’ve never done before: A hybrid trailer. I’ll be upfront here when I say that hybrids aren’t my cup of sunshine for various reasons. But despite that, I looked over the floorplans Shamrock has to offer and if I were to buy one, the Shamrock 19 offers a nice, simple layout. Key Specs: UVW 3885 lbs; Total length (closed) 21’3″; Total width 8′; Hitch weight 434 lbs; Cargo capacity 1549 lbs; Exterior height 10’3″, 43 gallon fresh water tank; 30 gallon gray water tank; 30 gallon black water tank; 15′ awning. Why I Like It: As someone who’d probably not consider a hybrid from my own camping leisure, if I were, this floorplan would be a strong contender. It’s simple, no slide outs and has a front and rear pop out. The basic four person dinette plus jackknife sofa opposite the dinette give the perfect amount of seating for a family of 4-5. And Flagstaff is a pretty good name in this industry, so there’s a trust factor for me there. But based on the key features listed above, these things pack a punch! There are plenty more features on them as well as a lot of optional things you can put on to make it a comfortable camping experience. I’ve seen pics of the Jayco Hummingbird 10RK for a couple month, but up until now hadn’t heard much about it. Today, Jayco officially introduced the 10RK, what I like to call a “box drop” trailer. It’s the same idea as a traditional teardrop trailer, but instead of the classic teardrop shape, it’s built with a square design. The 10RK comes with the traditional Jayco 2 year warranty and sits on two Goodyear Endurance radial tires. 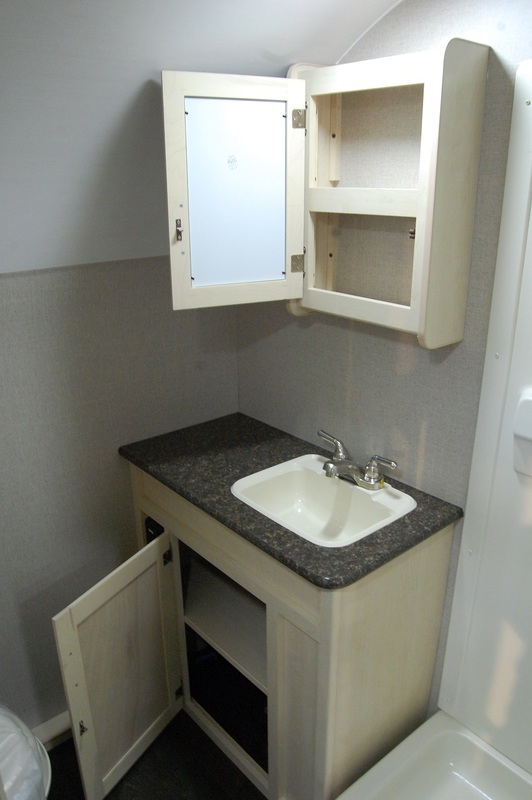 The galley area is equipped with a TV, microwave, refrigerator, and sink with some storage. Quick observation that sticks out is the exterior height of 90″, despite it’s just 13′ length. Most residential garages have 7′ garage doors, so this would be problematic for storing it onsite for some. Also, the unloaded vehicle weight of just over 1500 lbs will likely rule out towing with some lighter tow vehicles capable of towing lighter weight teardrops. But that said, if those factors aren’t a factor for you, give it a look. I’ve not seen one in person yet, but Jayco sells the most trailers in the free world, so the Hummingbird 10RK is likely no slouch. I found just two for sale on rvtrader.com. 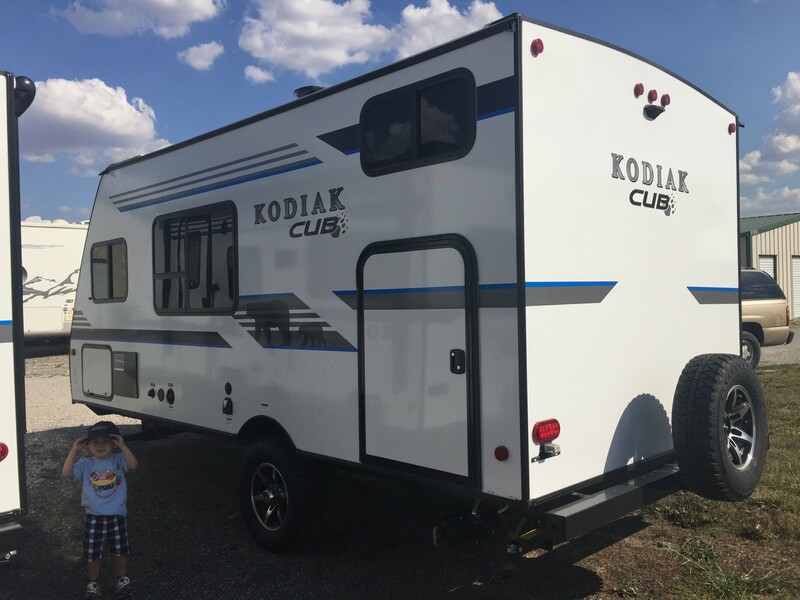 One dealer in Minnesota, Ted’s RV Land, showed an MSRP of $18,500 with a selling price of $10,300, which may not be too bad for the budget conscience buyer wanting to get in to this type of trailer. For more info, visit the Jayco website at https://www.jayco.com/products/travel- trailers/2018-hummingbird/10rk/ and be sure to watch the walk through video below, courtesy the Jayco RV YouTube channel. 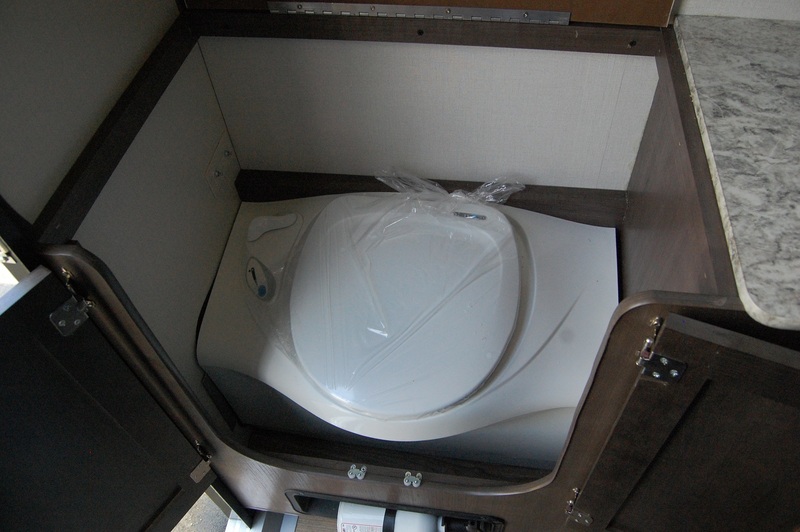 In this entry of Small Trailer Snapshot, I’m featuring the Winnebago Minnie Drop 170S. Not only will I give you my thoughts on it, but I’m tag teaming with Josh “The RV Nerd” Winters, website manager and product specialist at Haylett RV of Coldwater, Michigan. We’ll give you our thoughts on why the 170S Minnie Drop is the best floorplan it has to offer. Key Features: NXG engineered chassis; High gloss T-60 gel coat fiberglass sidewalls; One piece fiberglass roof; 13.5K BTU low profile air conditioner; Convection microwave oven; Audio Visual system: AM/FM/CD/DVD/USB/Bluetooth; USB charging ports; Gas electric refrigerator; 6 gallon gas/electric/DSI water heater; Power awning with LED lighting; Solar charge prep; 19″ television; Power tongue jack; Full dry bathroom; Kitchen slide out. Key Specs: Total length 20’4″; Exterior height: 9’3″; Exterior width (body): 6’6″; Interior height: 6’5″; GVRW: 3800 lbs; Dry weight: 2800 lbs; Fresh water capacity: 31 gallons; Black tank capacity: 25 gallons; Gray tank capacity: 25 gallons; Furnace: 18K BTU; Water heater: 6 gallons; Hitch weight: 315 lbs; Awning length: 10′. Josh: They brought a new take on a proven concept that is bringing more and more people into this world of small trailers. The execution of the model is pretty much flawless. And it’s the little details that set it apart like the positioning of the TV on its swing arm so it can be comfortably viewed from either dinette bench or the bed. 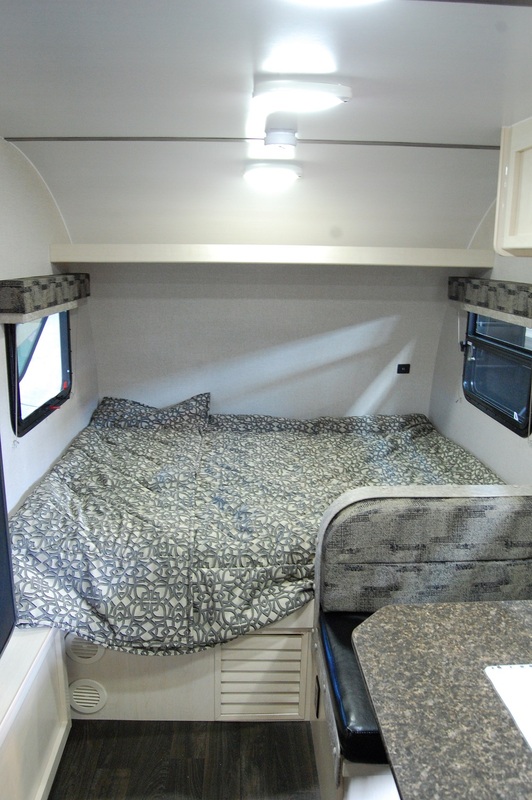 Easily overlooked features like the jalousie windows for rainy day airflow (which is just so great when you’re boondocking it) are something that really pulls the experience together. The way they handled splitting/sharing the storage area by the entry door and bathroom is perfect. I’ve seen similar layouts across other brands make the mistake of offering no pantry or no bathroom cabinet. The 170s gives the perfect level of attention to both areas. They were the first in this class to offer a power awning (complete with easy tilt arms and LED lights at the base). The elliptical table dinette’s ability to easily float outside for picnic use is the perfect pairing. One of the best aspects of the floorplan is its ability to turtle up and be fully functional. You don’t really NEED the slide for the model to work — it just adds some breathing room you’ll appreciate. A lot of people miss the outside grill quick connect near the front storage door. I love how it’s positioned away from the awning so you’re not trapping smoke that might want to roll into the RV when you open the door. 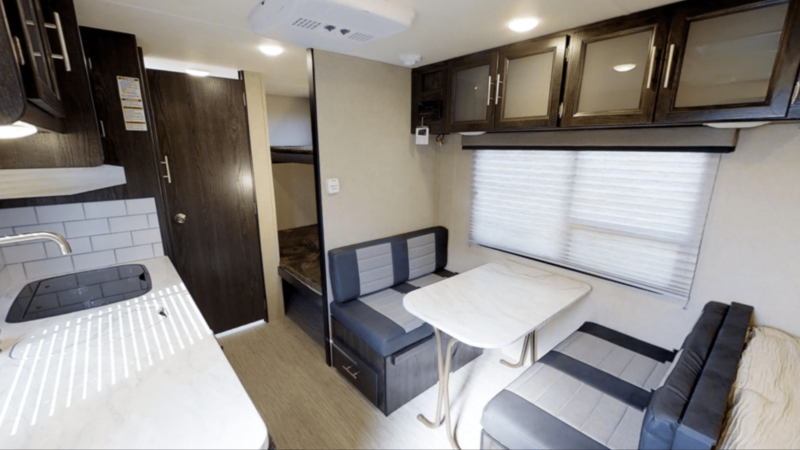 But, as is the case with ANY Winnebago towable RV, the service records on the Minnie Drop series is superior to anything else we’ve seen in this market segment. There are other respectable brands for sure, but we’ve yet to find one this close to perfect. Pat: In January of this year, I helped out a Winnebago dealer in Indianapolis, Braun’s Fun Time Campers, at the Indy RV Expo. When they introduced the 190RD floor plan late last year, I thought that would outsell all the other Minnie Drop floorplans combined. There were four of the Minnie Drop floorplans at the show and by far the 170S was the standout, far exceeding the 190RD. So many of the folks I talked to who looked at all four kept coming back to the 170S, noting that it was the floorplan that offered the most storage, the most functional layout, and had the best “open” feel. 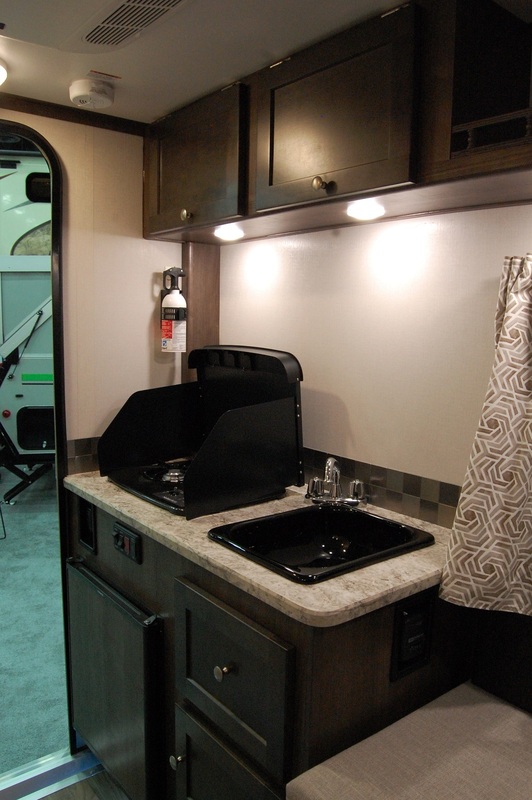 Besides the spacious bathroom and its great storage, the 170S is the only Minnie Drop floorplan that overlooks your campsite. And that is one of the more underappreciated features of any trailer that offers it. A lot of folks I’ve spoken with don’t really even consider it until it’s brought to their attention, then that light bulb clicks on and they realize that overlooking your campsite instead of your neighbor’s is an important feature. And that light interior they introduced last year has really opened up the Minnie Drop compared to the darker wood tones that plague the industry. What I also like are all the standards the Minnie Drop has to offer (see key features above). The only options that are offered are wood grain exterior graphics and a 15″ offroad tire & axle option. But we can’t talk about Winnebago without talking about colors. And they offer eight different exterior colors to choose from. Since there is no base color, there is no upcharge, whether you choose champagne, orange, blue, hunter green, cherry, white yellow, or platinum. And that high gloss fiberglass makes those colors really “shine”. These are well built trailers with exceptional fit & finish that is easy to see. While I post reviews on trailers by giving you the basics so you can make your own judgement on whether it’s a good trailer for you, I say this with the utmost confidence regarding Winnebago, “Buy with confidence”. Thanks again to Josh for stopping by and contributing to this post! I, as well as other consumers AND sales professionals, have learned a ton from watching the 3,300 plus walk through videos he’s done on YouTube. 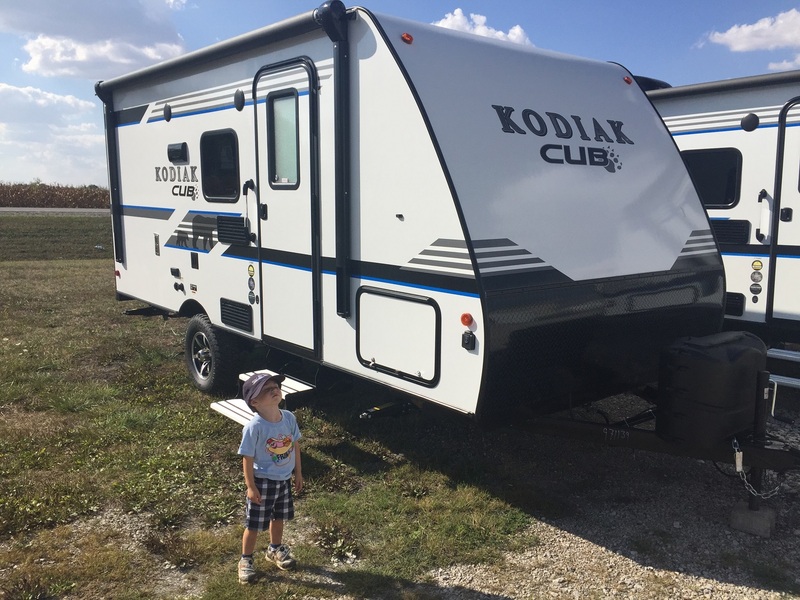 He provides a lot of thought provoking commentary and no matter if it’s a 40′ fifth wheel or a 10′ pop-up camper, you’re going to learn something new. By all means, tune into his YouTube channel and join the over 18,000 subscribers to the Haylett RV channel here: https://www.youtube.com/channel/UCRS9u1f7074u0Rrgu05K9Wg And for an added bonus, you’ll see Josh’s walk through video of the Minnie Drop 170S at the bottom of this post. 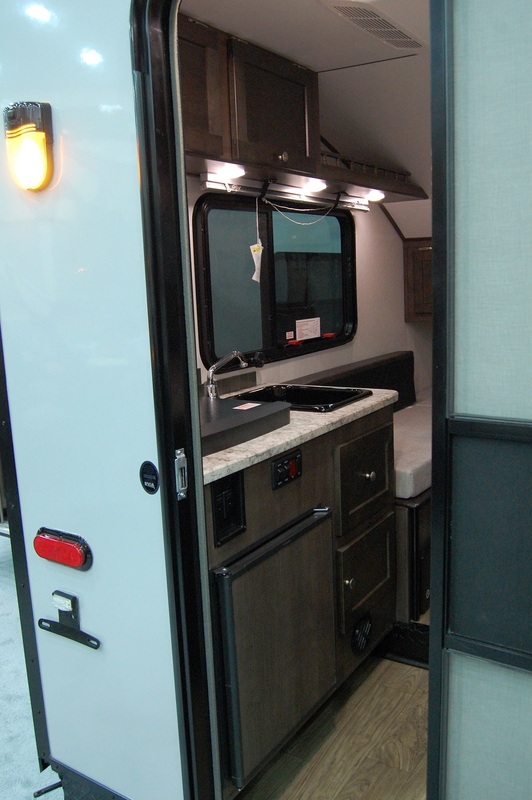 It was about this time last year when Aliner introduced the diminutive Ascape travel trailer. 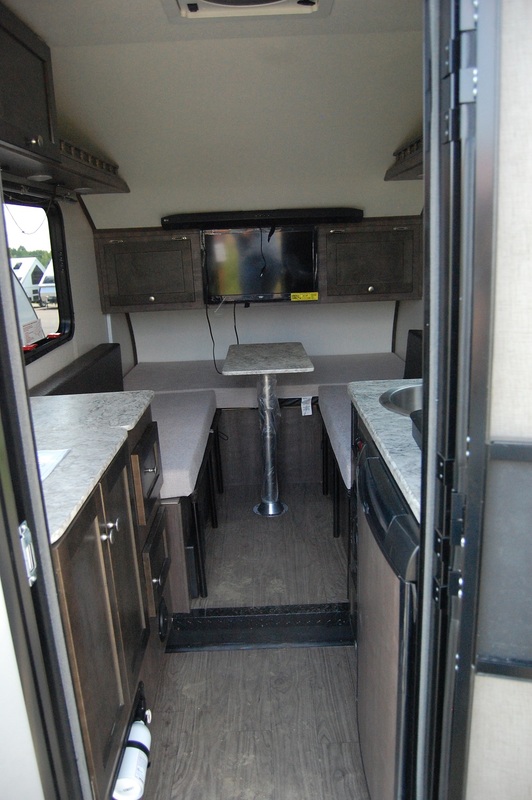 The 13 foot, 1350lbs Ascape initially came with a fridge, microwave, stove, and sink, with a TV and sound bar, awning, air conditioning, and potty as a packaged option. Aliner has increased the floorplans for 2018 for the Ascape to give you four different layouts, ranging from a spartan interior with no appliances to one with a wet bath and kitchen. The Ascape MT is the spartan layout. It’s geared for maybe those who tent camp that want to get off the ground and into a little bit better shelter. You won’t get a microwave, stove, sink, or toilet with the MT. But you will get lights, a Fantastic Fan, and a solar port. And you’ll get decent sleeping quarters and a very lightweight trailer at just 1170 lbs. The Ascape Camp is a nice upgrade from the MT. 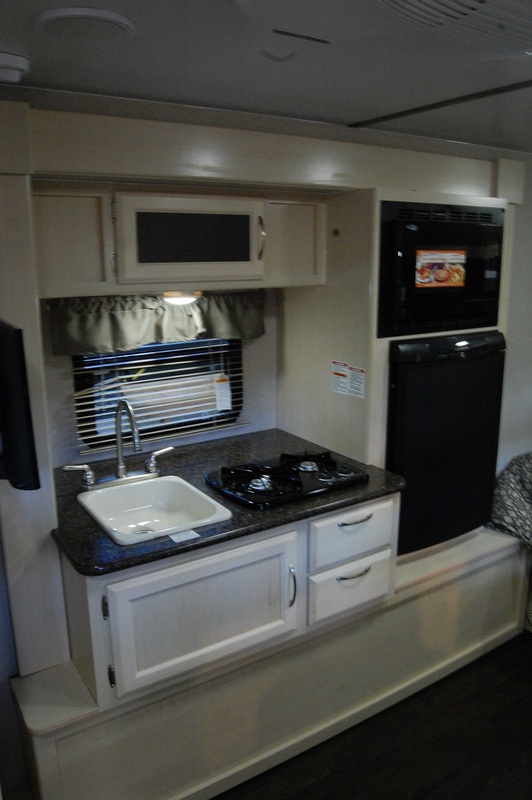 The Camp offers excellent cabinet storage on the right as you enter, and on the left if a standard 2-burner stove, sink, and a 1.9 cubic foot refrigerator, with additional overhead cabinets and storage below the counter as well. This is a very good floor plan if you want storage, a kitchen, and excellent counter prep space. Other standards on the Camp include an outside shower, a 16K BTU Atwood furnace, a 6 gallon Suburban water heater, and a 9200 BTU Coleman Mach 8 rooftop air conditioner. While heavier than the MT, the Ascape Camp is still considerably lightweight at 1495 lbs. The Ascape ST is a floor plan that Aliner needed to introduce to stay competitive with other brands of similar size. I got several notes after my review of the Ascape last summer from readers lamenting the fact there was no shower in the first Ascape floor plan that hit the market in 2017. And it was my opinion for the Ascape to survive against a similarly priced T@B that had a wet bath, they needed to add one too, and that they did with the Ascape ST. Not only does it offer a fair sized wet bath on the right as you come in, but it also has the same kitchen features as the Ascape Camp with the sink, 2-burner stove, and 1.9 cubic foot refrigerator. However, with the addition of the wet bath on the right, you lose a lot of storage and all that prep space the Camp features. But it doesn’t take much creativity to utilize the table for prep space, or on a good day, take it outside. The standards on the ST mirror those of the Camp model with an outside shower, a 16K BTU Atwood furnace, a 6 gallon Suburban water heater, and a 9200 BTU Coleman Mach 8 rooftop air conditioner. With the shower, you gain a 13 gallon gray water tank. 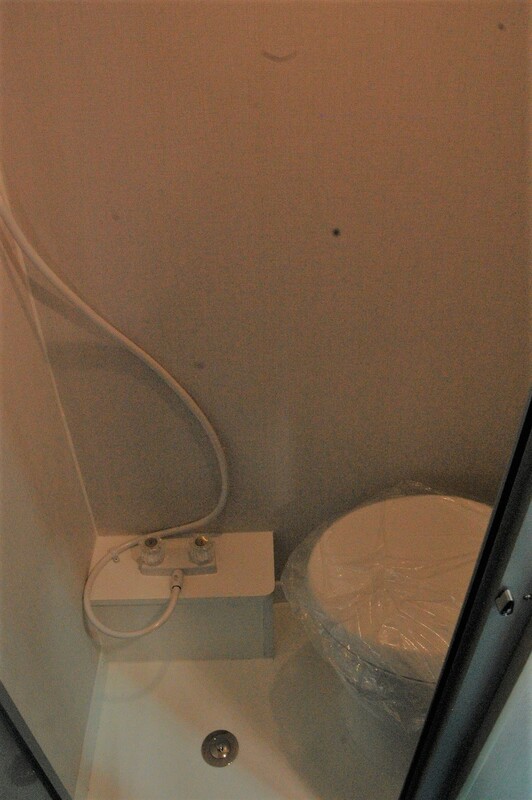 There is not a black water tank for the toilet as the ST utilizes a cassette toilet. The weight on the ST is just a tad heavier than the Camp, checking in at 1575 lbs. The last floor plan, the Ascape Plus, is the original floor plan that hit the market in 2017. 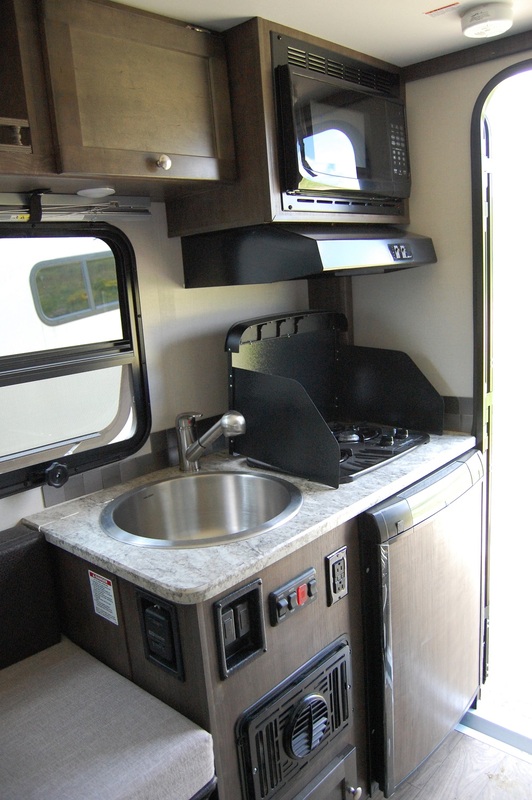 It also offers the greatest number of features as standard, including a larger sink, 2-burner stove, range hood, microwave, 5′ awning, 23″ flat screen TV with sound bar, Thetford cassette toilet, front mounted solar panel, outside shower, dual 20lbs propane tanks, Suburban 6 gallon water heater, 16K BTU Atwood furnace, and a 3.0 cubic foot 3-way refrigerator. Again, all those are standard features. The only thing not offered in the Ascape Plus is the interior shower. Having the most number of goodies, the Plus is the heaviest of the four floor plans, but it still comes in at a manageable 1630 lbs. So as we can see, the folks at Aliner have been busy this past year developing new floor plans for the Ascape. 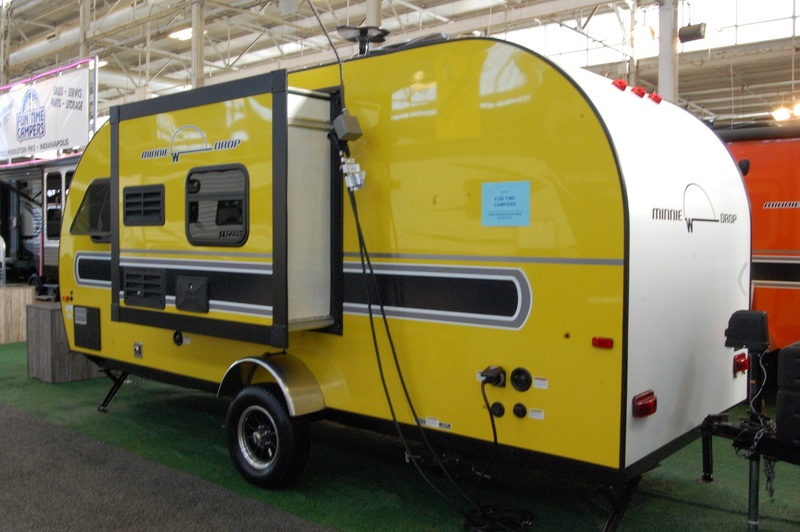 And what they’ve come up with should really satisfy a lot of different camping needs amongst the small trailerists looking for something less than 2,000 lbs that you can stand in. Due to the drop floor in the Ascape, all four models have a maximum 6’4″ interior height, are a total 13′ in length from hitch to tail, are just 6’1″ wide, and 8’4″ tall including the roof top air conditioner (7’5″ on the MT model without A/C). 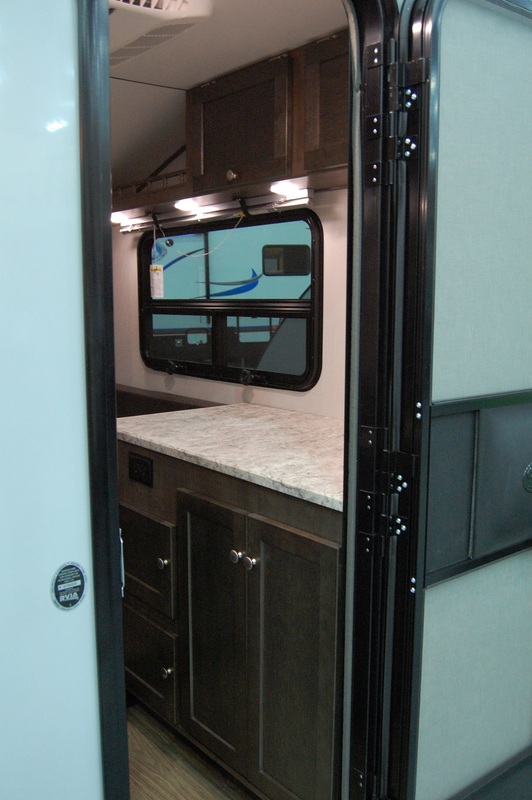 With the dinette in the bed configuration, it produces a roomy 77″ x 64″ sleeping area. All floor plans sit on a 2500 lbs Dexter axle, which equates to cargo capacities ranging from 870 lbs to 1330 lbs, and hitch weights from 170 lbs to 229 lbs. You also have four different exterior graphic colors to choose from in red, black, green, and blue.